I hear a lot of people come up with excuses as to why they can't make time for self care. "My job is too demanding." "This person needs me, I just can't do it." These all may sound like valid excuses. And sometimes they really are! But when you're constantly devoting your life to other people around you or even your job, you lose sight of what is most important...YOU! You wouldn't have a family if you weren't here. That person wouldn't be relying on you if you weren't here. It's important to take care of the most valuable person in your life, which is yourself. You need to be well taken care of in order to function for everything that is going on around you. Your job will go much more smoothly and your family will be so much happier if you feel like you've taken care of yourself and given yourself that extra time and love. 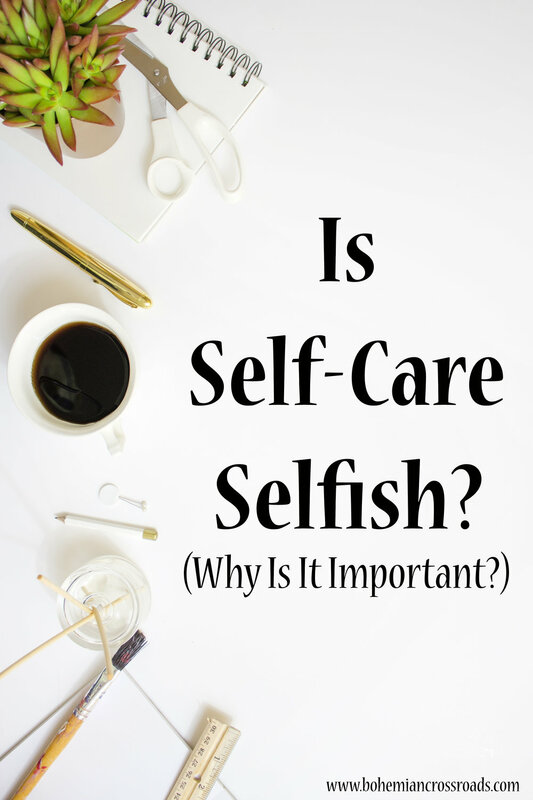 Self-care is the farthest thing from being selfish. Taking time for yourself is exactly what everyone else around you needs as well. If you're happier, the people around you will be able to sense it. If you neglect yourself, you will not be the only one affected. It's crucial that you take time and appreciate yourself. Your mind, body and those around you will thank you for it. You are the only person that you are 100% stuck with for the rest of your life. You can't just walk away from yourself or give up on yourself. You can't escape! So make some time for what feels good and really love what you've got going on. Self-care doesn't have to be some extravagant, full day kumbaya with yourself. The fact of the matter is that a lot of us actually are super busy and have tons of crap going on. It can totally be hard to find time! But the important thing is that you do find time. Even if it's only 20 minutes a day. Caring for yourself is crucial to your wellbeing. I promise you that setting aside a little bit of time for yourself on a regular basis will greatly improve your happiness and your mental health. It feels good to care about ourselves and do nice things just for us every once in a while. Everyone will express their self-care differently. You'll find something that works best for you. It's all about experimenting and being in tune with your body. Discovering what it is that makes you happy and gives you that sense of love that your sub-conscious is craving. Be good to yourself. Do good for yourself. Love yourself. Books that teach you how to love yourself on a deeper level. I'm reading You Are A Badass and The Soul Searcher's Handbook right now and I'm reeeeally enjoying them! The Soul Searcher's Handbook is literally a handbook of all things new age and holistic that gives you tips, tricks and ideas to incorporate into your daily life. It even includes a "woo woo scale" to let you know how "out there" the things you'll be reading about are. So funny! You Are A Badass is an awesome book. This one I'm actually listening to on Audible. But this isn't your typical self-help book. Jen Sincero mocks the typical self-help strategies and breaks it down for you into real life, no fluff, excellence. I'm only on chapter 7, but I relate to so many of her ideas already. People from all walks of life will relate to this one! Sign up with your email address to receive motivational quotes and thoughts sent straight to your inbox. Every. Single. Monday.